14 May 2016, UK ~ The first Pattern race of the UK Arabian racing season, the ARO Cup Group 3 PA, went to Aghsaan (Al Jakbar x Sophie Du Loup), prepared by rookie trainer Philip Collington for HH Sheikh Hamdan bin Rashid Al Maktoum. In a thrilling finish, the five-year-old held on to win by one and a quarter lengths from Kao Kat MHF, with the third runner, Radames, also racing for His Highness. 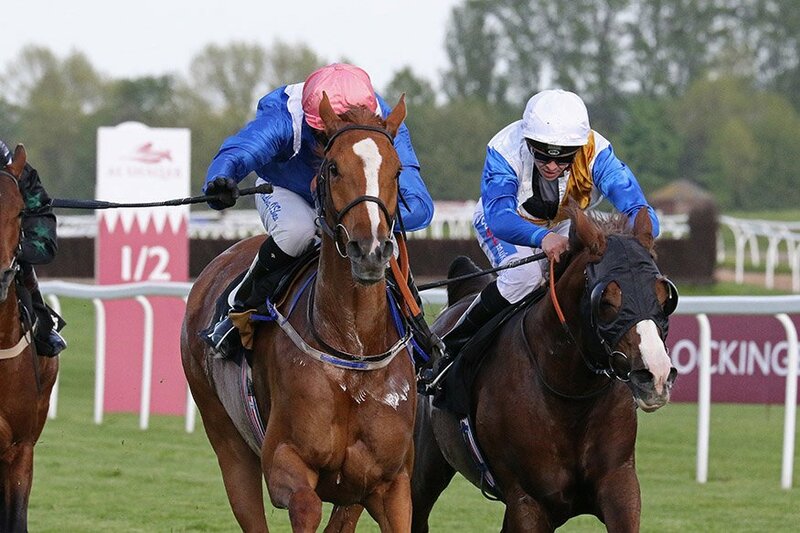 The £15,000 race, the first of nine Arabian Pattern races scheduled for the UK under the Arabian Racing Organization (ARO) banner, was run over the same straight mile as the prestigious Al Shaqab Lockinge Stakes, a Group 1 for Thoroughbreds earlier in the card. Aghsaan had been a course and distance winner in the Emirates Premier Handicap Stakes at Dubai International Arabian Races (DIAR) last July when trained by Gill Duffield. Collington took over as retained trainer for Sheikh Hamdan, along with James Owen on Duffield’s retirement last September.